With the Management originating from larger companies, we succeeded in building a truly flexible and solid organization where personal involvement, creativity, flexibility and accessibility together with extensive expertise & organizational skills, are the key factors to our success. We believe that our hard work, and understanding the needs of our partners, resulted in an outstanding service level to our clients. We are proud to be considered one of the leading Destination Management Companies in our region, and operations are often considered as an example for both competition and clients, how to run the business. Located right by the busiest river cruise dock, at a stone throw from Central Railway Station and sea cruise terminal (PTA), Amstour Holland offers a pallet of ground-services tailored to facilitate cruise passengers such as: shore excursions (special interest, day- and half-day excursions, canal cruises), pre- and post-cruise packages, transportation (transfers, shuttle services, private car and limo transfers), hospitality desk “manning” (onboard, airport, in hotels), local (evening) entertainment and welcome happenings. 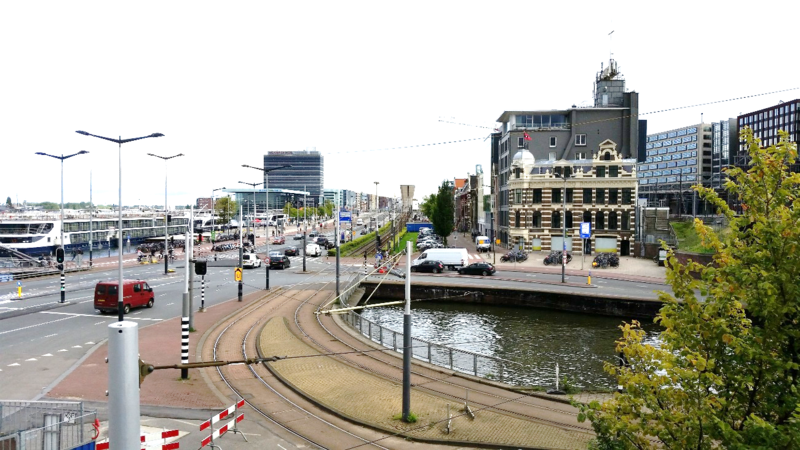 Amstour Holland is located next to Central Railway Station, right opposite the main docking area for river cruises and halfway between Passenger Terminal Amsterdam and Central Station front side. meeting point (indoor) for cruise passengers, e.g. in case of delayed or cancelled ship arrival. tourist information, souvenir shop, tickets for canal cruises, public transport, museum tickets etc.